Want to share your conservative Republican values? 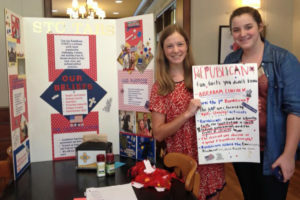 Start a Teen Age Republican Club today! National TARS is glad to send you a free Resource Packet to help kick start your involvement. Inside are manuals to guide you, as well as pamphlets and brochures to advertise your club. If you would like to receive a Resource Packet, complete the order form here. If you live outside the USA, please email us at info@teenagerepublicans.org as the form below does not conform to international mailing addresses. Resource Packets are offered free, though any and all donations are appreciated! They are mailed in Priority envelopes through USPS for $7.35 each.